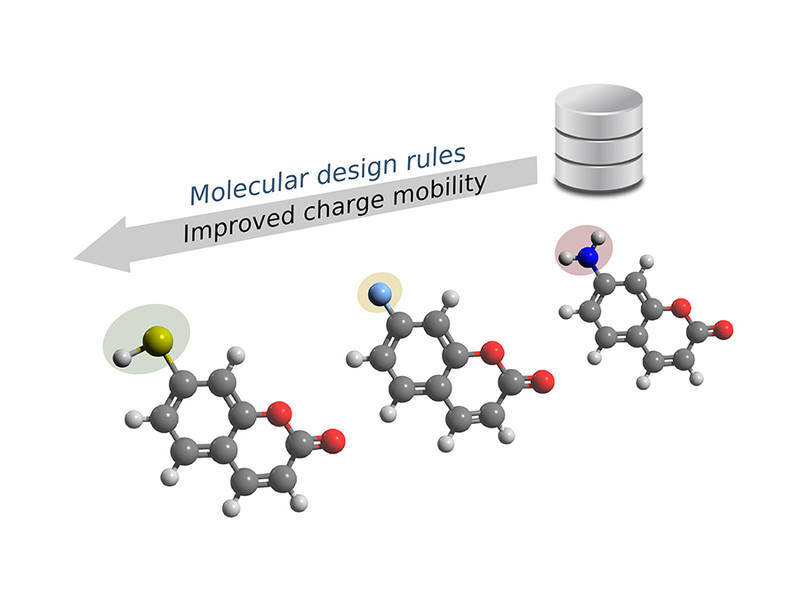 “We can now use this to not only predict the properties of a molecule, but using artificial intelligence we can also design new compounds in which both the structural framework and the functional groups promise very good conductivity,” explains Reuter. The smallest building blocks within the power stations of organisms which get their energy directly from the sun are basically miniature reactors surrounded by collectors which capture photons and forward them to the centre. The close correlation between structure and interaction of the components boosts productivity, a strategy which an international team of researchers is using for increasing the efficiency of solar technology. At FAU, research is being carried out in this area by the Chair of Physical Chemistry I, and the latest results have been published in the prestigious journal Nature Chemistry (https://doi.org/10.1038/s41557-018-0172-y). Now, LMU physicists led by Dr. Jacek Stolarczyk and Professor Jochen Feldmann, in collaboration with chemists at Julius-Maximilians-Universität Würzburg (JMU) in Bavaria, led by Professor Frank Würthner, have succeeded in demonstrating the complete splitting of water with the help of an all-in-one catalytic system for the first time. Their new study appears in the journal Nature Energy. 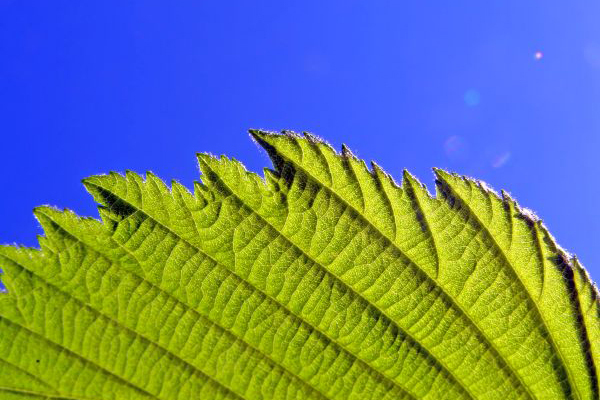 Technical methods for the photocatalytic splitting of water molecules use synthetic components to mimic the complex processes that take place during natural photosynthesis. In such systems, semiconductor nanoparticles that absorb light quanta (photons) can, in principle, serve as the photocatalysts. The problem lies in enabling the two half-reactions to take place simultaneously on a single particle – while ensuring that the oppositely charged species do not recombine. In addition, many semiconductors can be oxidized themselves, and thereby destroyed, by the positively charged holes. “We solved the problem by using nanorods made of the semiconducting material cadmium sulfate, and spatially separated the areas on which the oxidation and reduction reactions occurred on these nanocrystals,” Stolarczyk explains. The researchers decorated the tips of the nanorods with tiny particles of platinum, which act as acceptors for the electrons excited by the light absorption. As the LMU group had previously shown, this configuration provides an efficient photocatalyst for the reduction of water to hydrogen. The oxidation reaction, on the other hand, takes place on the sides of the nanorod. To this end, the LMU researchers attached to the lateral surfaces a ruthenium-based oxidation catalyst developed by Würthner‘s JMU team. The compound was equipped with functional groups that anchored it to the nanorod. “These groups provide for extremely fast transport of holes to the catalyst, which facilitates the efficient generation of oxygen and minimizes damage to the nanorods,” says Dr. Peter Frischmann, one of the initiators of the project in Würzburg. 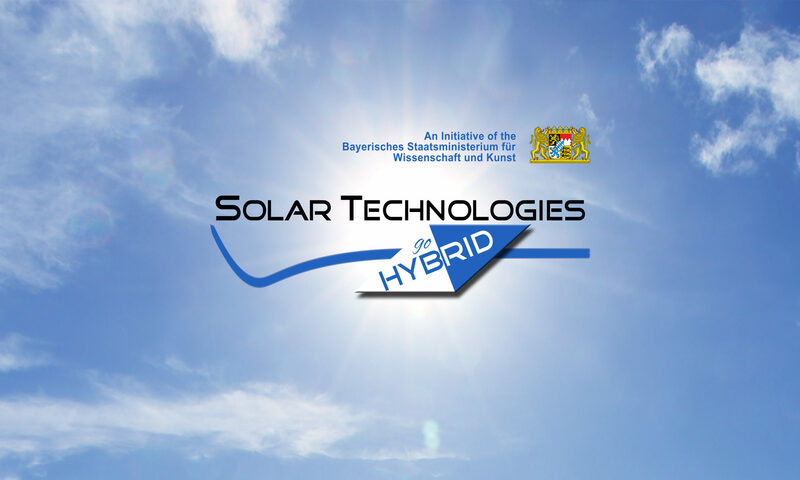 The study was carried out as part of the interdisciplinary project “Solar Technologies Go Hybrid” (SolTech), which is funded by the state of Bavaria. “SolTech’s mission is to explore innovative concepts for the conversion of solar energy into non-fossil fuels,” says Professor Jochen Feldmann, holder of the Chair of Photonics and Optoelectronics at LMU. NIM scientists from LMU Munich have found a new effect regarding the optical excitation of charge carriers in a solar semiconductor. It could facilitate the utilization of infrared light, which is normally lost in solar devices. Semiconductors are nowadays the most prominent materials to convert solar light into usable electric energy. The International Energy Agency (IEA) reported that half a million solar panels were installed every day around the world last year. However, semiconductor-based solar cells still suffer from relatively low energy conversion efficiencies. The reason for that mainly lies in the fact that semiconductors efficiently convert the light from a quite small portion of the solar spectrum into electrical power. The spectral position of this window of light that can be efficiently converted is strongly related to a property of the semiconductor involved (that is, its band-gap). This means that, if the semiconductor is designed to absorb yellow light, longer-wavelength light (such as red and infrared light), will pass through the material without producing currents. Additionally, shorter-wavelength light (green, blue and UV light), that is more energetic than yellow light, will lose its additional amount of energy into heat. Obtaining higher energy conversion efficiencies from semiconductors is therefore still a big challenge. 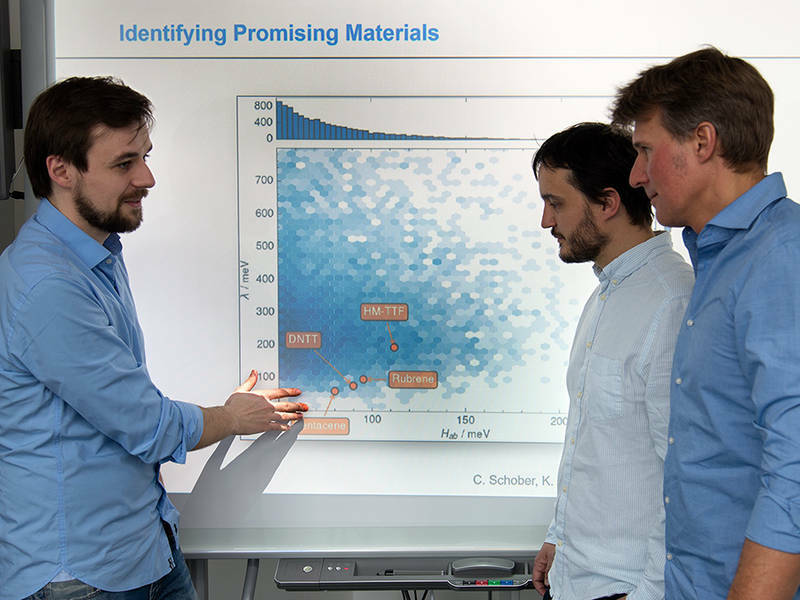 To study these limitations, Aurora Manzi, a PhD student from the Chair for Photonics led by Prof. Jochen Feldmann, has measured the charge carrier density created by the absorption of multiple photons in perovskite nanocrystals, a novel and promising material for photovoltaic applications. After intense discussions, the team of LMU scientists realized that these resonances occur when multiples of two distinct fundamental frequencies become equal, namely that of the frequency of the primary light oscillation and that of the frequency of the band gap or more precisely of the exciton at the band-gap. One could draw an analogy to resonance or overtone phenomena in acoustics, commonly used in music instruments. 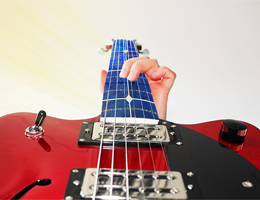 When intense red light impinges on nano-structured perovskite nanocrystals, a process similar to the generation of overtones in a guitar string takes place. The fundamental light wavelength generates higher order optical harmonics, that are overtones whose frequencies are integer multiples of the primary light oscillation. When such a “light overtone” becomes resonant with an overtone of the excitonic band-gap, the energy exchange is enhanced leading to an increased generation of charge carriers or more precisely of multiple excitons at the band gap. A. Manzi, Y. Tong, J. Feucht, E.-P. Yao, L. Polavarapu, A. S. Urban, J. Feldmann, Resonantly enhanced multiple exciton generation through below-band-gap multi-photon absorption in perovskite nanocrystals, Nature Communications 2018, 9, 1518.